I am a self-described music geek currently living in the Nashville, TN area. By day, I am an insurance executive. By night, you can find me at a live show or pouring through the bins of a used record store. Born and raised just outside of New York City, I spent two decades in South Texas before moving to Music City in 1998. I have seen and heard a lot of great live music in Nashville and beyond, and I look forward to reliving some of those memories here with you as well as reporting on ones yet to come. In addition, you will find occasional local music news and some of my thoughts on music in general. 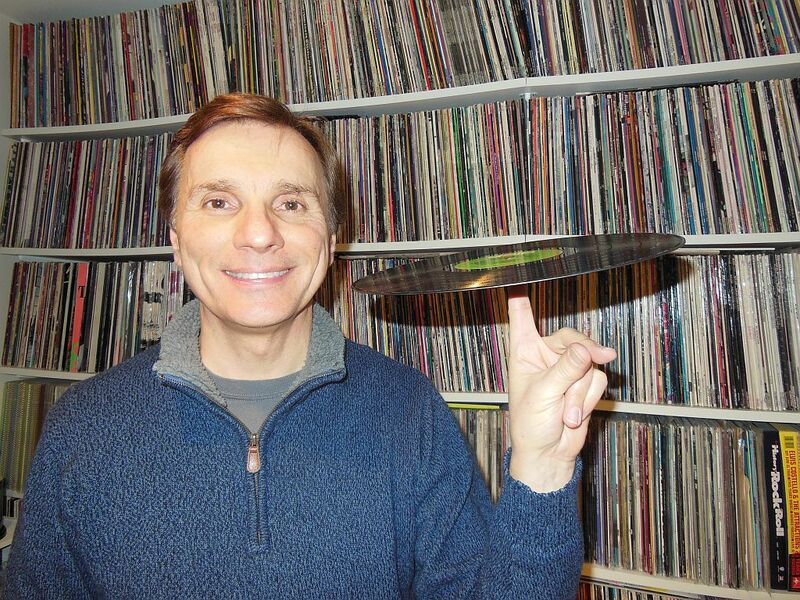 I first wrote about music as a record reviewer for my college newspaper in the late Seventies. From 1995 to 2001, I published Beyond Belief, a critically-acclaimed Elvis Costello fanzine. Many respect me as a music archivist and avid record collector to the degree that record labels have consulted with me on several projects. Your input is important to me, so leave your comments here at the blog or e-mail me at musiccitymike@comcast.net. You will also find me on Facebook as Music City Mike and on Twitter as @MusicCityMike. Looking forward to sharing my musical adventures with you! P.S. If you like good pizza, you may want to check out my alter ego, The Pizza Snob. That’s a bunch of “Born To Run”s behind you! Correct! Some various odd pressings. Thanks Mike. Delighted to have happened on your blog. Manna for a fellow music obsessive! Regards from Thom at the immortal jukebox (plugged in and ready to play). Hi mike, my name is Mary, my husband and I are friends with your cousin Arlene. We are planning a trip to Nashville. We would lover to be in the middle of every thing….any suggestions? As i was looking up info about which places in NYC did Willy Deville appear, up came your site. Thanks Mark – look for you at a show some time – what’s next for you? I’ve got Leo Kottke and Iron & Wine this week.